One of a kind, lavishly grand, and instantly captivating- one hundred and sixteen moissanite gemstones make their way across this fully studded tennis necklace in solid white gold. 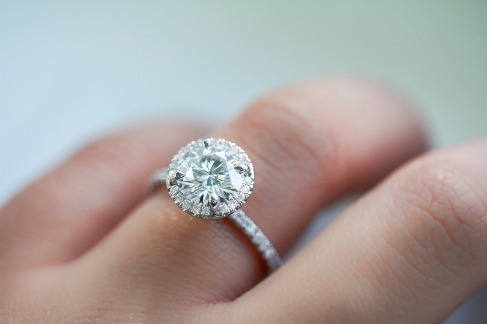 The moissanites total to a little over 15 carats for a generous heaping of endless sparkle. 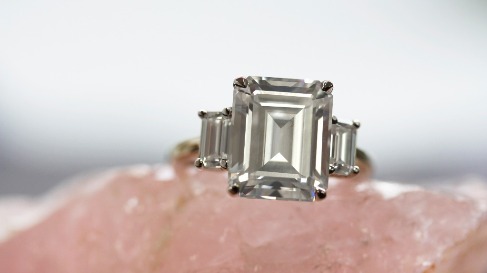 This five stone ring features large princess-cut diamonds in 14-karat white gold with a high polish finish. 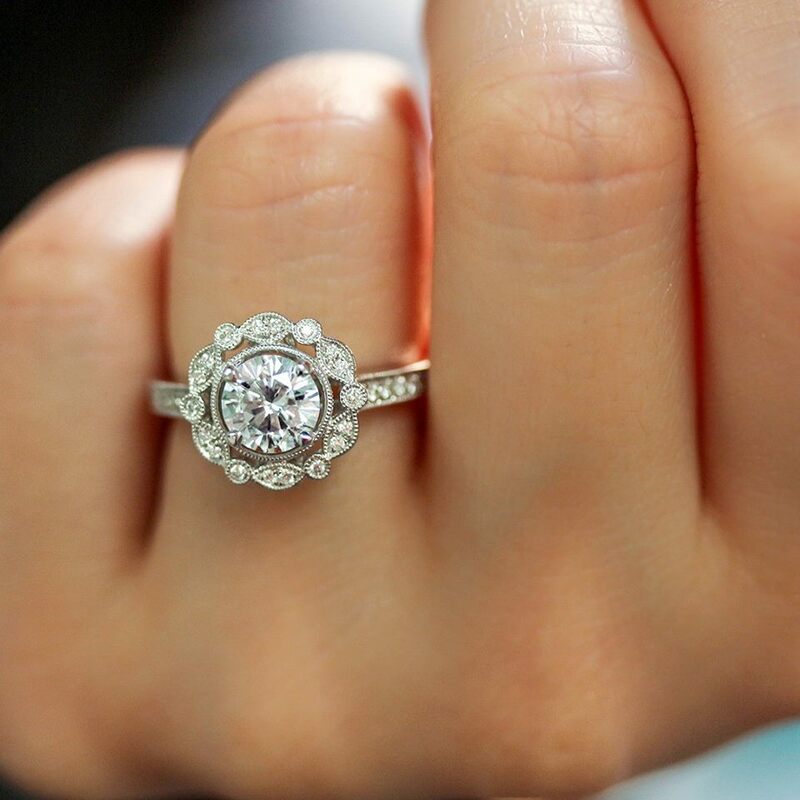 An 2 1/16 ctw round brilliant-cut moissanite captures the most brilliant of sparkles over this diamond and gold engagement ring. Decorating this moissanite center stone are entirely natural earth mined diamonds for a perfect mix of contemporary and tradition. What a perfect match! 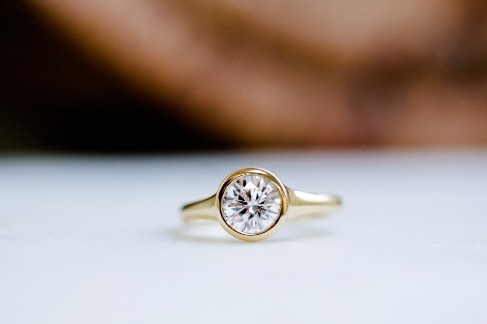 Genuine earth mined diamonds decorate this curved wedding band in solid 14-karat gold. 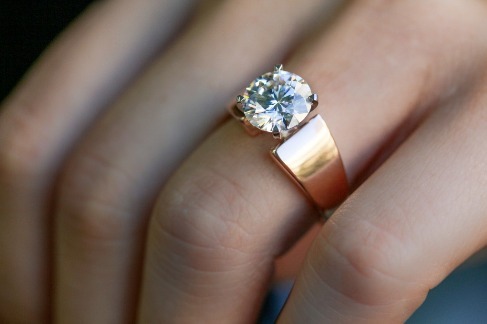 The ring matches to Kobelli engagement rings with the style 62465 in the model number. 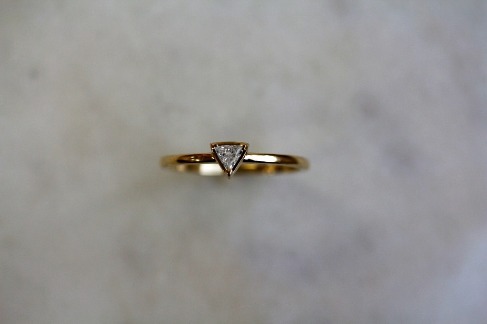 This slender diamond ring carries a triangular accent-sized diamond on solid 14-karat yellow gold. 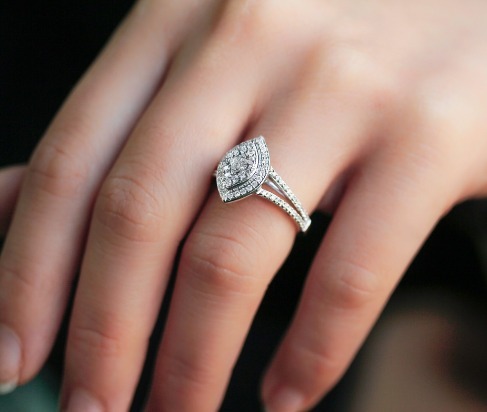 The dainty style is suitable as a promise, fashion, or starter stand-in engagement ring. 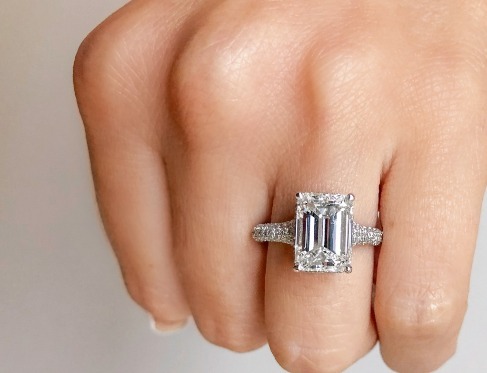 Three-Stone Emerald-Cut Moissanite Statement Engagement Ring is the one to go for if you want to ultimately infuse the “wow” factor into your look. It represents a real masterpiece by Kobelli’s skilled artisans who created an engagement ring that is turning heads wherever it appears. Now this one is a stunner. Forever Classic 3 Carat round-cut moissanite gemstone center, and 1/4 ctw round-cut side diamonds set in solid 14-karat gold. One of our favorite bridal sets, a cushion-cut moissanite and diamond ring 3 Carat (ctw) with a channel setting in 14k White Gold. 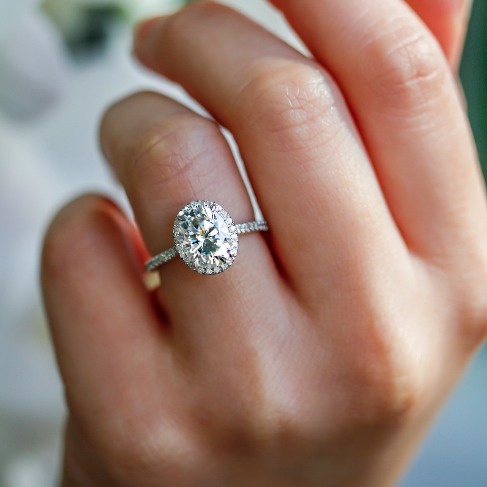 A solo 9.5 mm round brilliant-cut moissanite is carried to the top of this solitaire engagement ring in classic peg head prongs. The band features an an extra wide tapering shank in solid 14-karat rose gold and a high polish finish. With the ultra shiny wide band, luscious reflections exercises creativity and uniqueness from its surroundings. 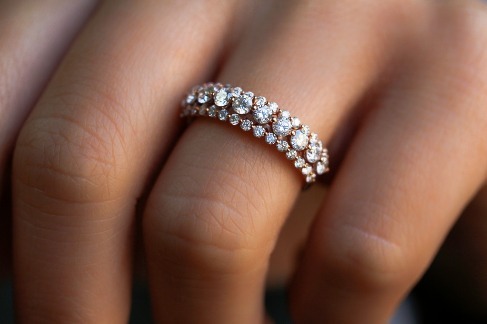 A series of many small diamonds are joined together over a tiered double halo boat shaped setting. 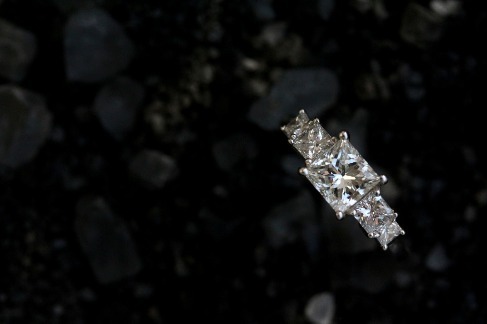 Four princess-cut diamonds are affixed side by side in the very center with a surrounding of round diamonds. A diamond lined split shank flares from the band toward the top of the ring to bring additional attention to the overall piece. Three sets of real diamonds are sectioned into adjacent rows along this fashionable ring. With two smaller rows surrounding a bigger row really captures all the sparkly glory it can offer. This diamond wedding band is authentic for its fashionable graduated design with 15 round-cut diamonds that increase in size toward the top. 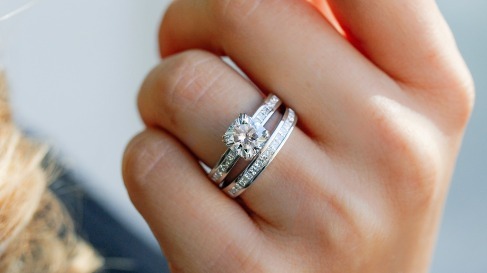 You can easily combine this sophisticated wedding band with your engagement ring. 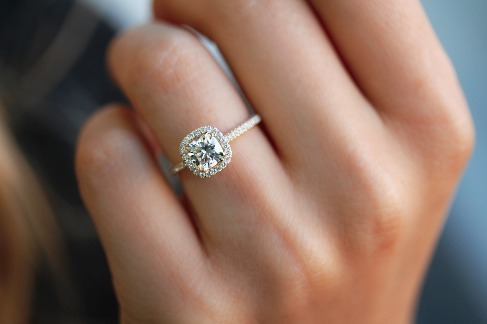 A Forever One Moissanite and lab grown diamonds line this halo engagement ring in solid 14-karat yellow gold. 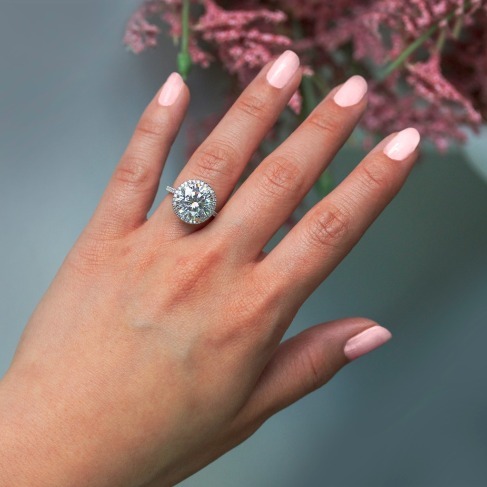 This stunning engagement ring features a 2 carat pear-shape moissanite gemstone and round-cut side diamonds set in solid 14-karat rose gold, which shines brightly with a highly polished finish. 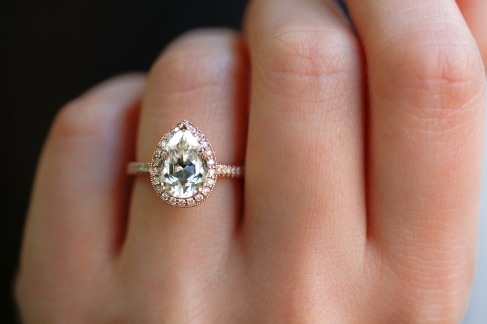 A one carat round brilliant-cut diamond is bezel set on this classic solitaire style engagement ring. We really love the modern look on this gorgeous piece. 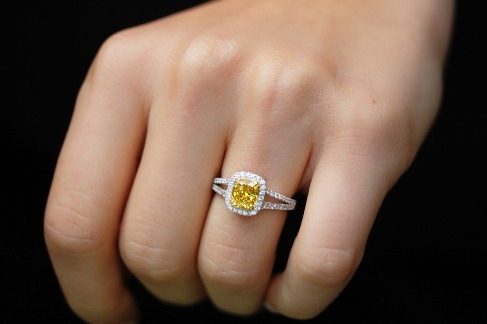 A fancy vivid yellow diamond is cushion cut and set on the center of this astoundingly regal design. 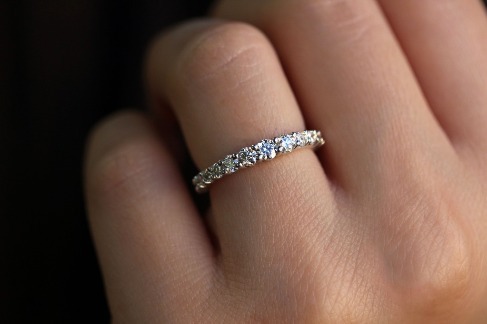 Encircled by a loop of white diamonds and additional diamonds across the split band, the magnificent center stone is quite literally the highlight of attention in the most desirable way. This one of a kind piece is set into rich 18-karat two tone gold enhancing the white diamonds with white gold and the yellow diamond with yellow gold.